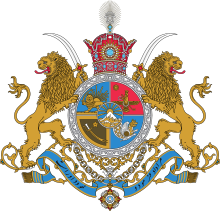 Much of the cr for orchestrating a smooth transition of power from the King to the Crown Prince was due to the efforts of Mohammad Ali Foroughi. 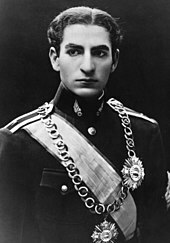 Suffering from angina, a frail Foroughi was summoned to the Palace and appointed prime minister when Reza Shah feared the end of the Pahlavi dynasty once the Allies invaded Iran in 1941. 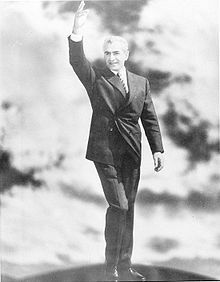 When Reza Shah sought his assistance to ensure that the Allies would not put an end to the Pahlavi dynasty, Foroughi put aside his adverse personal sentiments for having been politically sidelined since 1935. 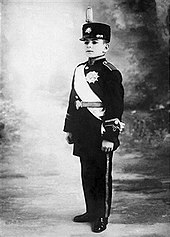 The Crown Prince confided in amazement to the British Minister that Foroughi "hardly expected any son of Reza Shah to be a civilized human being", but Foroughi successfully derailed thoughts by the Allies to undertake a more drastic change in the political infrastructure of Iran. 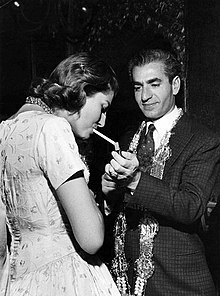 In 1945-46, the main issue in Iranian politics were the Soviet-sponsored separatist government in Iranian Azerbaijan and Kurdistan, which greatly alarmed the Shah. 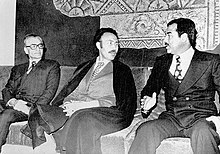 He repeatedly clashed with his prime minister Ahmad Qavam, whom he viewed as too pro-Soviet. 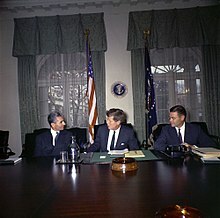 At the same time, the growing popularity of the Tudeh Party also worried Mohammad Reza, who felt there was a serious possibility of a coup by the Tudeh. In June 1946, Mohammad Reza was relieved when the Red Army pulled out of Iran. In a letter to the Azerbaijani Communist leader Ja'far Pishevari, Stalin stated that he had to pull out of Iran as otherwise the Americans would not pull out of China, and he wanted to assist the Chinese Communists in their civil war against the Kuomintang. 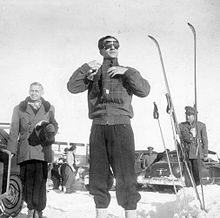 However, the Pishevari regime remained in power in Tabriz, and Mohammad Reza sought to undercut Qavam's attempts to make an agreement with Pishevari as way of getting rid of both. 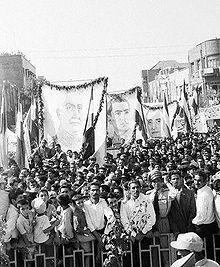 On 11 December 1946, the Iranian Army led by the Shah in person entered Iranian Azerbaijan and the Pishevari regime collapsed with little resistance, with most of the fighting occurring between ordinary people who attacked functionaries of the Pishevari regime who had behaved brutally. 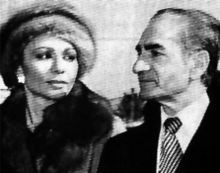 In his statements at the time and later, Mohammad Reza cred his easy success in Azerbaijan to his "mystical power". 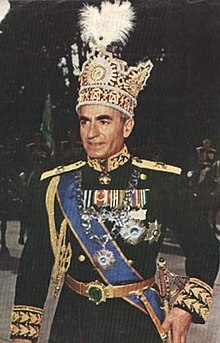 Knowing Qavam's penchant for corruption, the Shah used that issue as a reason to sack him. 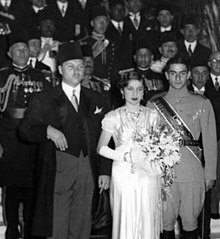 By this time, Fawzia had returned to Egypt, and despite efforts to have King Farouk persuade her to return to Iran she refused to go, which led Mohammad Reza to divorce her on 17 November 1947. 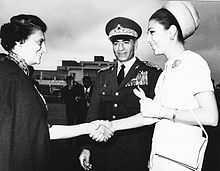 Pahlavi subsequently indicated his interest in marrying Princess Maria Gabriella of Savoy, a daughter of the deposed Italian king, Umberto II. Pope John XXIII reportedly vetoed the suggestion. 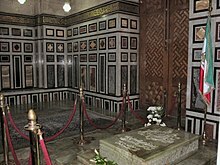 In an orial about the rumours surrounding the marriage of a "Muslim sovereign and a Catholic princess", the Vatican newspaper, L'Osservatore Romano, considered the match "a grave danger", especially considering that under the 1917 Code of Canon Law a Roman Catholic who married a divorced person would be automatically, and could be formally, excommunicated. 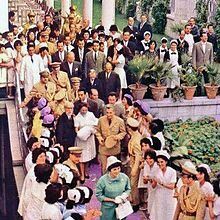 The overthrow of the Shah came as a surprise to almost all observers. 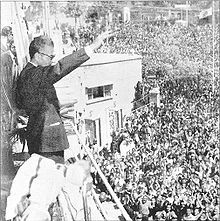 The first militant anti-Shah demonstrations of a few hundred started in October 1977, after the death of Khomeini's son Mostafa. On 7 January 1978, an article Iran and Red and Black Colonization was published in the newspaper Ettela'at attacking Ruhollah Khomeini, who was in exile in Iraq at the time; it referred to him as a homosexual, a drug addict, a British spy and claimed he was an Indian, not an Iranian. 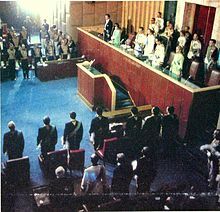 Khomeini's supporters had brought in audio tapes of his sermons, and Mohammad Reza was angry with one sermon, alleging corruption on his part, and decided to hit back with the article, despite the feeling at the court, SAVAK and Ettela'at ors that the article was an unnecessary provocation that was going to cause trouble. The next day, protests against the article began in the holy city of Qom, a traditional centre of opposition to the House of Pahlavi.